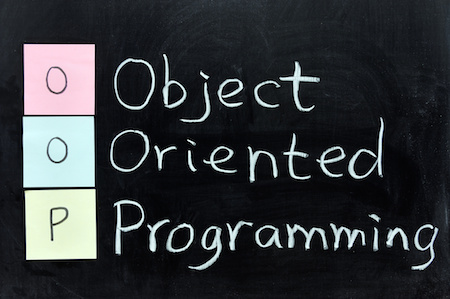 Object Oriented Programming languages organise programs based on objects and their interactions. Is the definition of an object’s behaviour (methods) and properties (attributes). A class can have many instances. All these instances are said to be the member of the same class. Objects have methods and instance variables. Each object or instance of a class has memory allocated for its own instance variables. In the following example, Joe and Mary are instances of class Person. In this example Class B, Class C and Class D inherit from Class A. In other words Class A is the superclass or parent class of Class B, Class C and Class D.
Class B, Class C and Class D are known to be a subclass or child class of Class A. 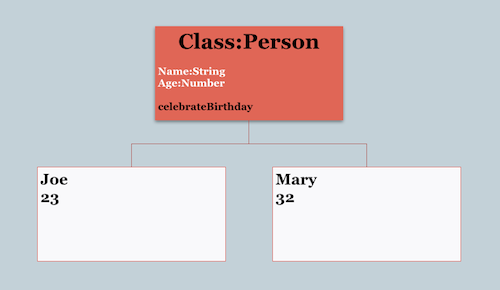 In inheritance, the subclass or child class inherits all the instance variables and methods of its superclass or parent class. The sublass/child class can then add its own instance variables and methods. A class can only one direct superclass. A class can inherit from more than one class. 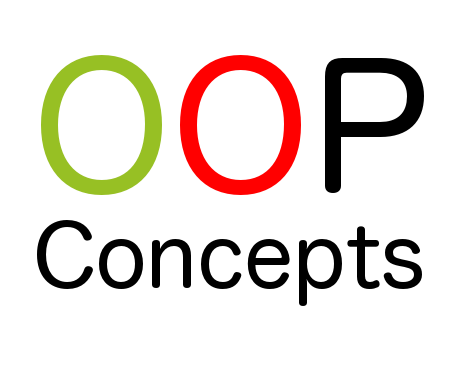 In Object Oriented Programming a program is based on objects and their interaction with each other. Objects communicate with each other through messages, which are requested to perform methods. You send a message to an object, requesting it to perform one of its methods. Encapsulation is also known as information hiding where the internal representation of on object is hidden. It is the separation of the implementation of an object from its interface. Methods of an object wrap around its instance variables and hide them from the rest of the program. One of the advantages of encapsulation is that the implementation of a class can be changed without affecting the code that calls it. This is the mechanism by which different classes can define methods with the same name. Different receivers can have different implementation of the same method. The result of a message will depend on the object that receives the message. In dynamic binding, the method to invoke is determined at runtime instead of compile time. Also referred to as late binding. Dynamic Binding enables polymorphism where method to run is determined at runtime. Shape is the superclass of Circle, Square and Rectangle and these classes all have a draw() method and the exact method to run is determined at runtime. A variable is dynamically typed when the type of the object it points to is not checked at compile time. Objective-C uses the id data type to represent a variable that is an object without specifying what sort of object it is. This is referred to as dynamic typing.